More importantly UR will be adding many additional layers of functionality and use-ability in the coming months and years. Some examples are the ability to search for a reseller, which is not new, but what is new is the ability to be assured a consumer’s reseller of choice is an Authorized Reseller of Genuine UR products. The ability for end users to register their products in UR’s maintenance database, allowing for the receipt of reminders for when to change belts or other service items that may be necessary to perform is also in the works. 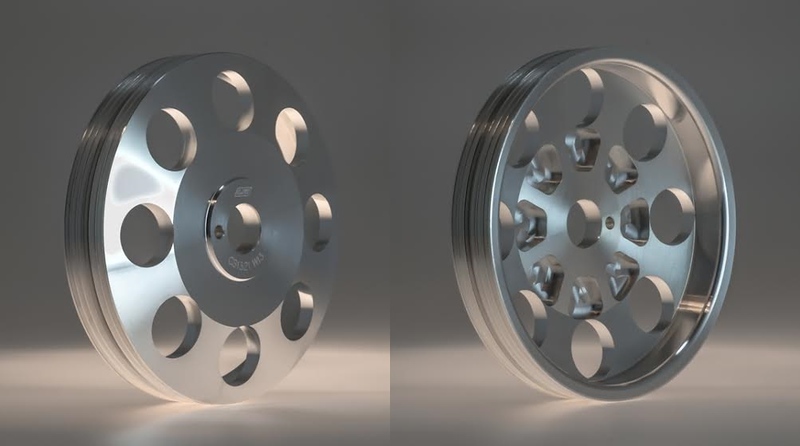 Discounts will be offered to registered users on replacement belts and other maintenance components as well as the ability to trade in an existing UR pulley for the latest and greatest version or for credit towards some other completely new part. An offer of 50% off the web-site price on equal trades will apply or the option for appraisal of a consumer’s existing part to determine credit towards another part. As if these changes were not enough, it doesn’t stop there – UR will be offering refurb services and pre-owned certification for resale through their site in the coming months. 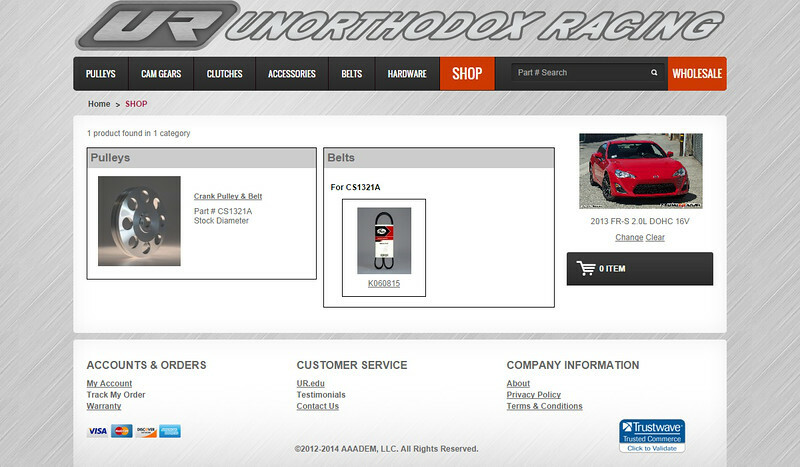 “Yes, you can sell your product through our site. You’ll be able to select the refurb option and send your UR product in, where we will prep it and load it for sale for a set percentage of the sales price. We have also added a special serialization system where a consumer can register for customer service, tech and warranty services. This system will allow us to tell when a product was made, who handled it during the manufacturing process, the sales path of the product and what price was paid for the product. This will also allow us to track the product's history, notate anything special about the product so if/when the consumer contacts our tech line we already have a history and can maintain key notes and relevant information relating to that part passed on by the user.” says Allard. 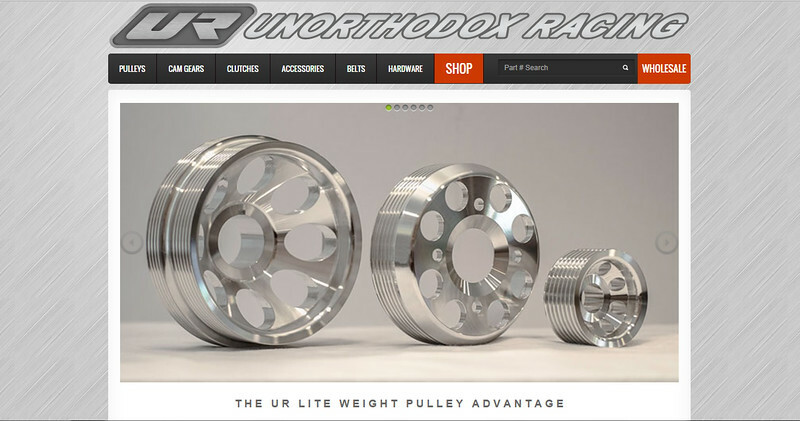 Unorthodox Racing will also be expanding its online wholesale capability. The new Wholesale Portal ushers in a new standard for product information dissemination for retailers. More importantly it will ensure Authorized Resellers have the exact information consumers see so their sales staff never has to wonder about guess work or gotcha questions. All resellers (retail/wholesale, direct or indirect) must be registered with UR’s site to become an Authorized Reseller. 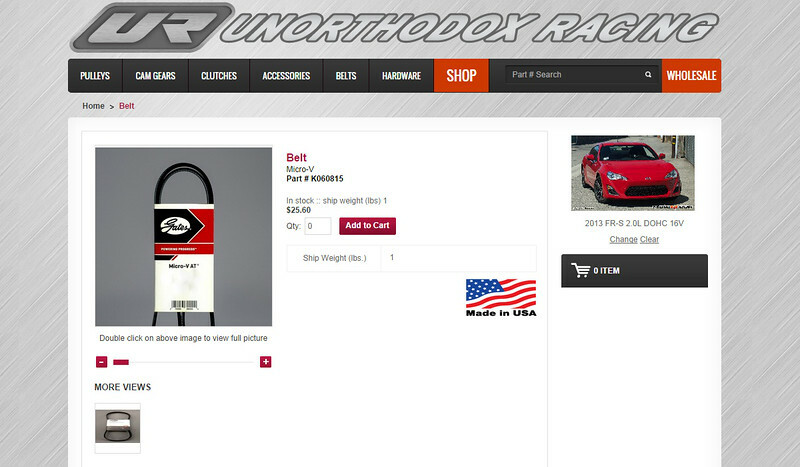 This allows consumers to be rest assured when they buy a UR product from an Authorized Resellers (direct or indirect) listed on UR’s site that they are getting the genuine product. The use of the same serialization system on the consumer site as the Wholesale Portal will ensure both the consumer and Authorized Reseller have the most up to date product, manufacturing and pricing information available. Additional layers of functionality and use-ability for the wholesaler are in the works, such as the Distributor’s ability to access any and all wholesale referrals for customers not able to buy from UR directly. The ability to see and follow UR’s production schedule, which will also lead to live video feeds from the production floor, will be coming soon as well as the ability to handle returns and exchanges through UR’s site. This will give the Distributor the ability to link their wholesale customers into the shipment process, so they, and even the consumer, can follow their product as it moves through UR’s system – especially important with back orders and special orders. Many of these features will improve the entire buying process as it will be completely transparent and require significantly less human to human communication saving everyone valuable time. All UR products are designed and manufactured in the U.S.
5 Trick Fixes for High Mileage Cars, Part 2: Get Better handling, visiblity, safety, and looks!